Your dentist tells you to floss more in order to get rid of plaque. You have heard that plaque is damaging to your teeth. But what exactly is it? Plaque is a sticky, white film that constantly forms on the surface of the teeth. It is the main cause of cavities and gum disease – yet it can easily be controlled so that it does not have damaging effects on the teeth. Everyone develops plaque. Naturally forming bacteria are always present inside the mouth. These bacteria are there to actually promote health by breaking down food particles that become trapped in the teeth. However, as these bacteria break down the sugars in the foods that have been left behind they also create acid. It is the acid from the bacteria that form harmful plaque, and when the acid attacks the teeth the tooth enamel can break down and cause a cavity. Plaque is also the cause of gingivitis, the earliest stage of gum disease. It is important to prevent plaque buildup, and with proper care it can be done. Practicing good oral health habits at home is the best method for preventing plaque buildup. Brushing the teeth at least twice a day is important for removing plaque from the surfaces of the teeth. However, brushing cannot remove the plaque that forms in the tight spaces between the teeth. Flossing is the single most important task that can prevent damaging plaque. Flossing removes plaque from between the teeth and under the gum line, where the bristles of a toothbrush cannot reach. Of course, keeping regular dental appointments for professional cleanings is also extremely important. 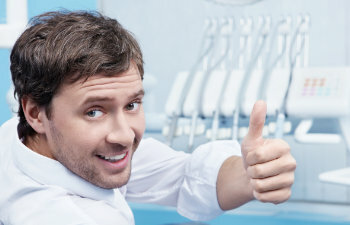 A dental hygienist is able to remove all signs of plaque from the teeth and gum line with proper tools and cleaning techniques. Plaque is the mouth’s worst enemy because it can cause a significant amount of damage in just a short amount of time. At Gold Hill Dentistry, we are committed to providing our patients with the most comprehensive dental care. Dealing with plaque before it becomes a major issue is always a top priority in exceptional dental care. If you live in or around Fort Mill, contact us today to schedule an appointment.